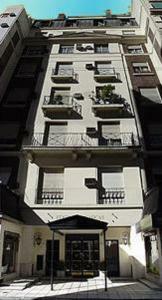 Edificio Charcas Apart Hotel, Buenos Aires discount hotels and accommodation. At downtown Buenos Aires, Argentina,in the priviledged neighbordhood of Plaza San Martín, is estrategically located the comfortable Edificio Charcas Apart Hotel. Its classic style of parisine construction along with its comfort,coziness and elegance, defines Edificio Charcas as a typical hotelwith french reminiscences. View photos, room descriptions and make online reservations at Edificio Charcas Apart Hotel. Save on room prices at Edificio Charcas Apart Hotel, Buenos Aires.